1. Southside 1882 Hot Beef Sausage & Hatch Green Chile Cheese Dip: Easy to make and deliciously spicy, this dip is the perfect appetizer for every event from family parties to office gatherings! 2. Southside Garlic Sausage Stir Fry: The Smoked Sausage Sampler also comes with Garlic Sausage which is delicious on its own, but comes alive when included in a garlicky dish like this stir fry. 3. Southside Country Sausage Breakfast Muffins: Serving sausage at breakfast shouldn’t be relegated to links accompanying the main dish! Incorporate sausage into muffins for an amazing treat. 4. Southside’s Spicy Deviled Eggs: Southside also makes a delectable Hot Sauce that is a perfect ingredient for kicking your deviled eggs up a notch. 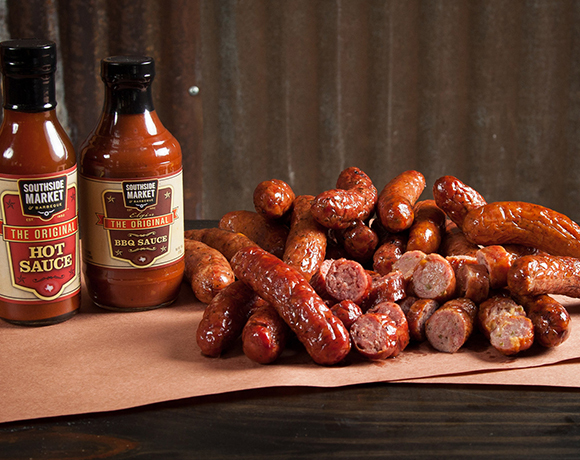 Grab a bottle on its own or use the one included in the Smoked Sausage Sampler. 5. Southside Beef Sausage Lasagna: Feed the entire family with cheesy, meaty goodness using smoked beef sausage to add a twist on the classic flavors. 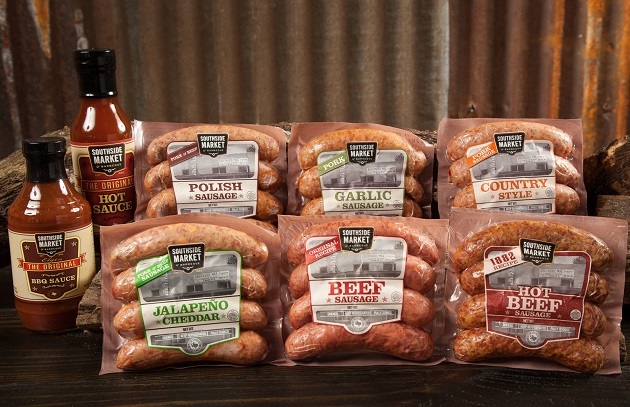 Since 1882, Southside has been making Sausage using only top quality meats, coarsely ground in natural pork casings. Order their Southside Sausage Sampler to get all the sausage you need to make the five amazing recipes above. There are 4 links per package for a total of 24 links per Sampler, giving you the freedom to experiment and find your favorite recipe. Have you cooked with sausage this week? Share with us on Facebook, Twitter, and Instagram.